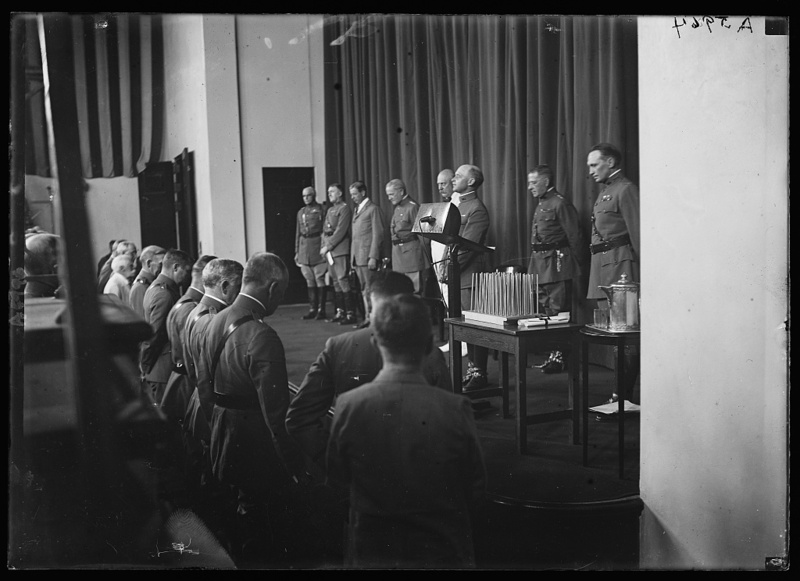 Chaplain Julian E. Yates pronouncing the benediction at the Army War College, 1923 (Library of Congress). “WEST POINT ALTAR WILL BE BUSY. Starting promptly at 12:30 p.m. Friday, May 29, The Rev. John B. Walthour will be one of the busiest men at the U.S. Military Academy at West Point, N.Y. The youthful, cheery academy chaplain will officiate at the majority of 32 wedding ceremonies scheduled for his chapel, 17 of them alone on the 19th, which is graduation day. That same morning the 374 members of the Academy’s first graduating class since United States’ entry into the second world war will receive their diplomas. 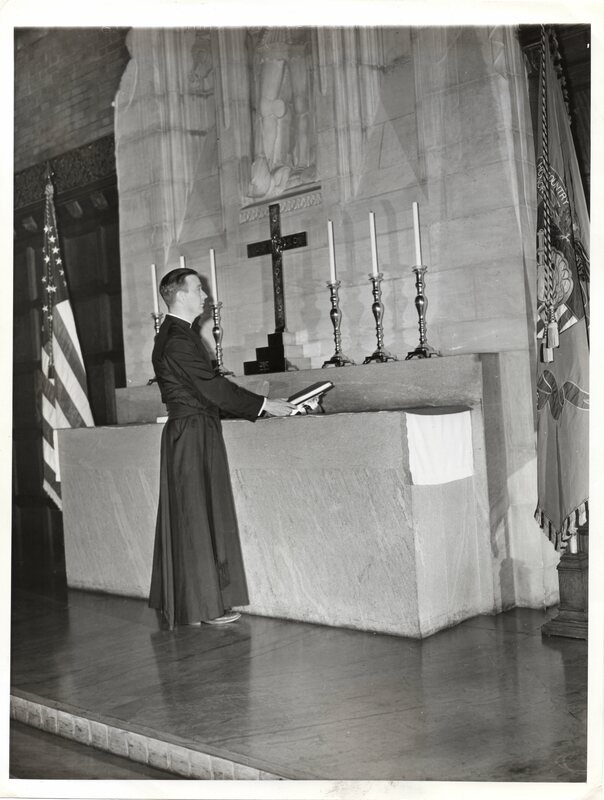 Chaplain Walthour is shown here at the altar of the West Point Chapel. 5-14-42” (author’s collection). 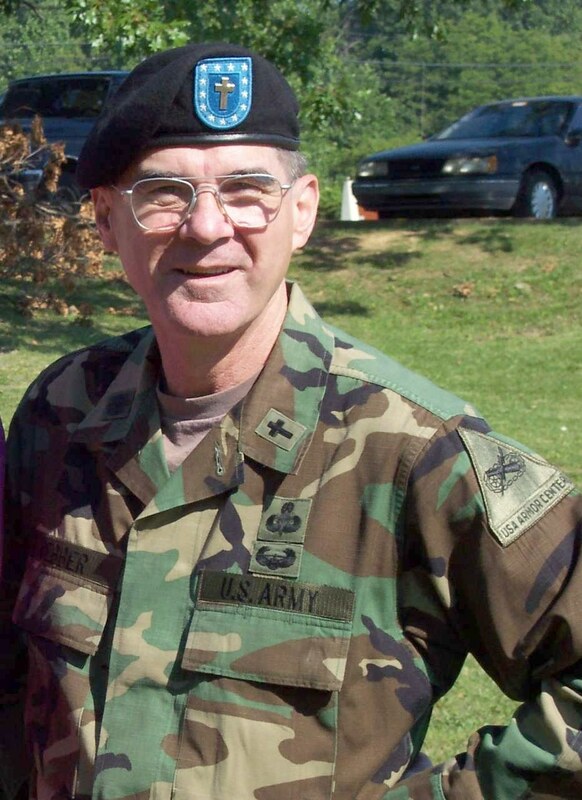 Chaplain (LTC) Gerald Bebber, 1st Armor Training Brigade Chaplain, Fort Knox, KY, mid-2000s (photo courtesy of Chaplain (COL) Gerald Bebber, retired). 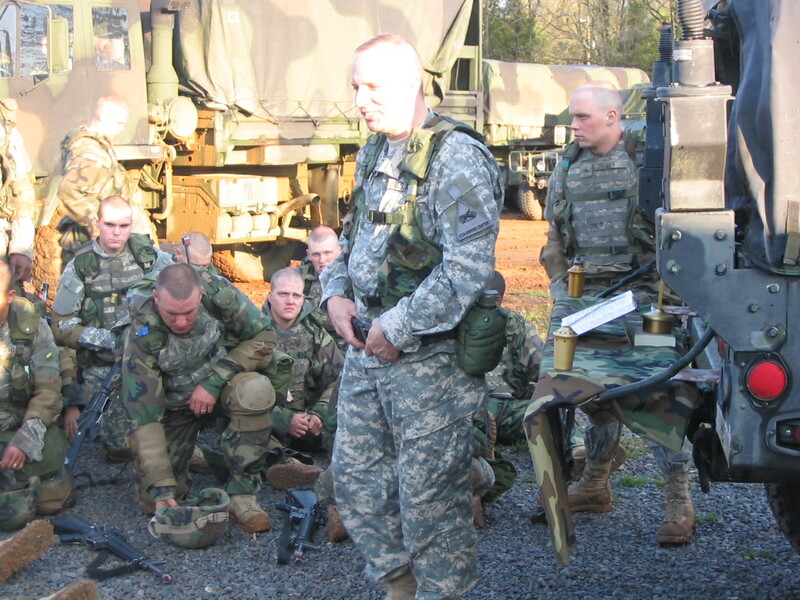 Chaplain (CPT) Daryl Densford conducting worship service for Cavalry Scout trainees at Fort Knox, KY in 2005. 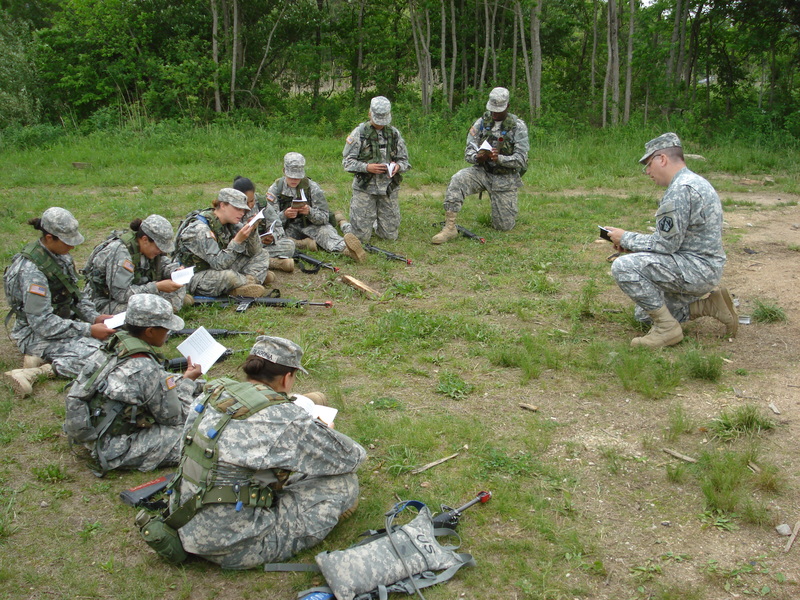 Chaplain (CPT) Daryl Densford leads a worship service in the field for trainees of 2-10 Infantry Battalion at Fort Leonard Wood, MO, 10 May 2011. 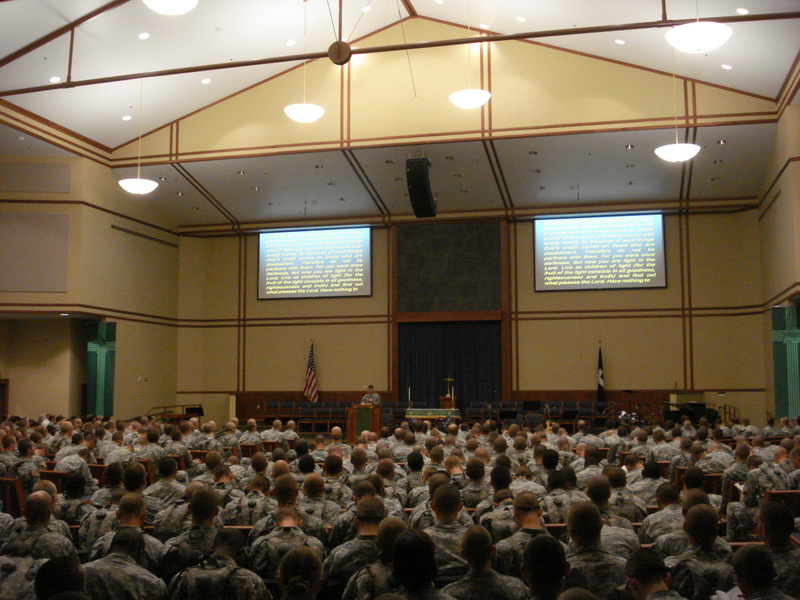 Chaplain (CPT) Donald (Craig) Bickel conducting worship service for trainees of the 1st EN BDE at the new Main Post Chapel at Fort Leonard Wood, 4 Sep 2011. 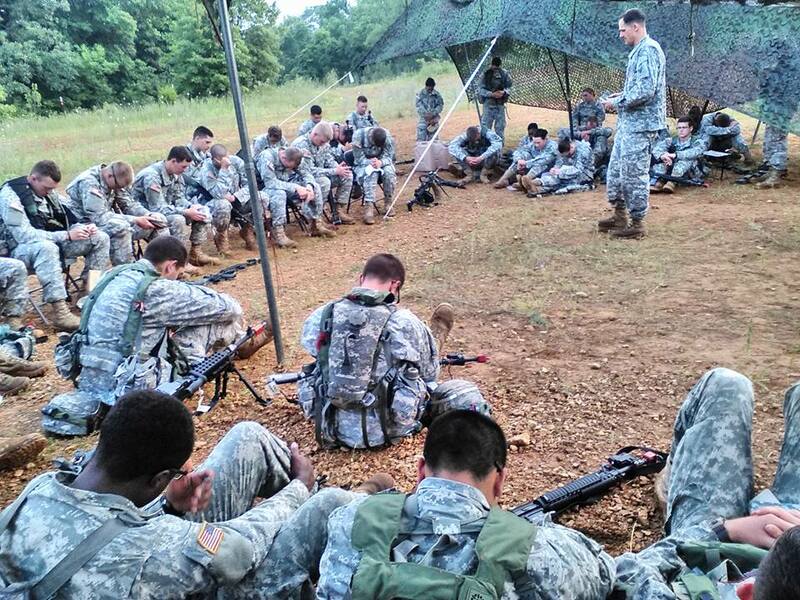 Chaplain Matthew Runals leads his second field service of the day for the Soldiers in the Cadet Leaders Course (CLC), Cadet Command Summer Training, July 2015, Fort Knox, KY (photo courtesy of Matthew Runals). 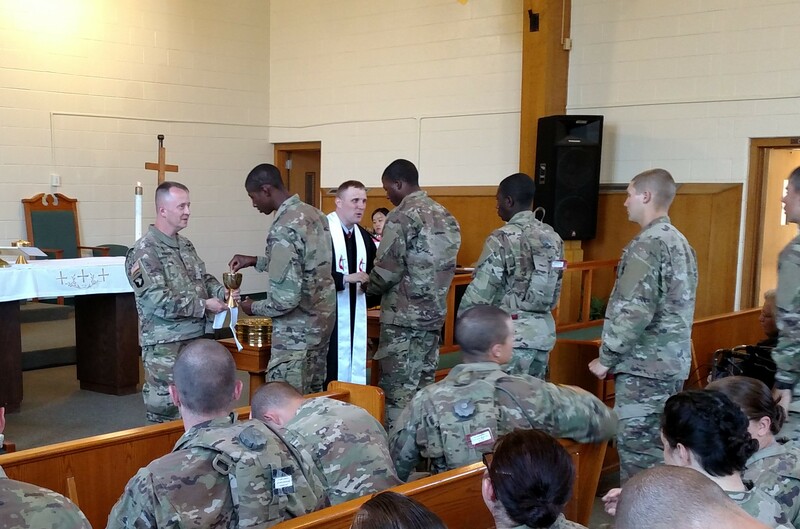 Soldiers-in-training receive the Eucharist from Chaplain (MAJ) Jeffrey Roberson (left) and Chaplain (CPT) Ryan Davenport, at the Protestant Liturgical Service at Ft. Leonard Wood, 14 May 2017 (photo by Daryl Densford).